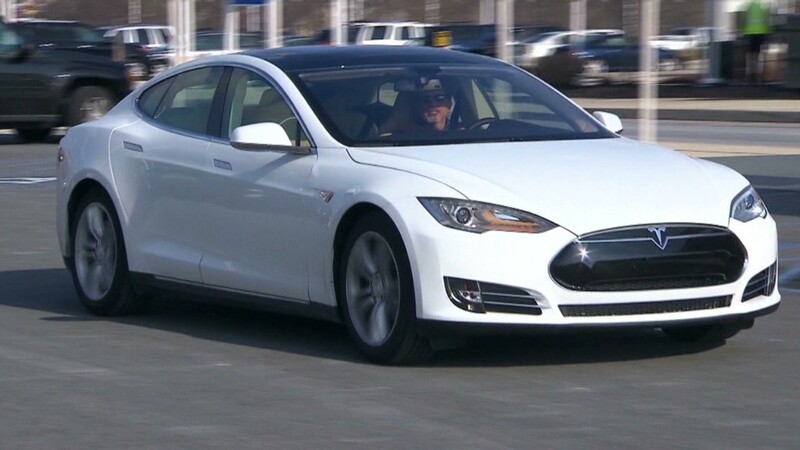 Tesla is bullish on the Model S, increasing 2014 sales projections by 55%. Shares of Tesla Motors soared to record levels early Thursday after it reported much stronger than expected profits and forecast it will sell 55% more vehicles this year than last year. Tesla (TSLA) is expanding its customer base to Europe and China and expects global sales to reach 35,000 vehicles for the full year. The surge in sales won't kick in right away though, as cars bound for Asia and Europe will take longer to be delivered than cars bound for U.S. buyers. In a conference call with analysts Wednesday afternoon, Tesla CEO Elon Musk said there is "likely to be unmet demand in China this year." The company reported that it earned $45.9 million in the quarter, nearly three times higher than the previous quarter, while revenue jumped 26%. The company is still a tiny niche player compared to other traditional automakers. It has only one model, the Model S, which starts at $69,000. But it has grown rapidly in the past year thanks to rave reviews from auto critics and strong customer loyalty. Consumer Reports has called the Model S the best car it has ever reviewed and customers have made it the best-liked car on the market. Related: Will Tesla's bet on China pay off? The company said Wednesday it is close to making production versions of its next model, the Model X crossover hybrid, and that those highly anticipated vehicles should be available for sale in about a year. 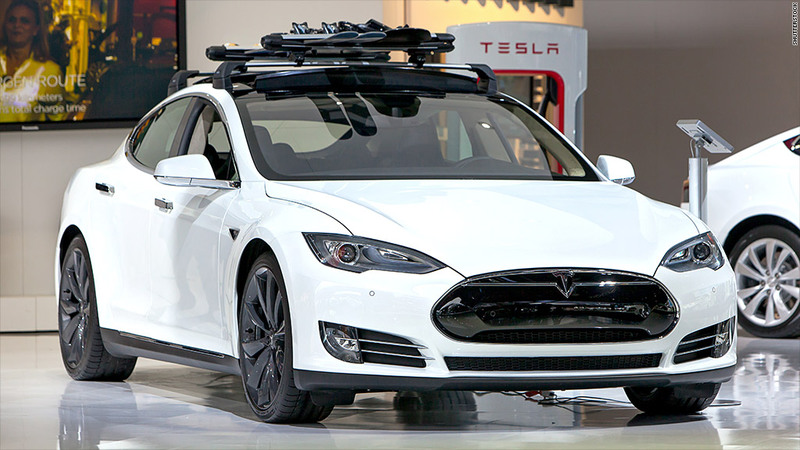 Musk said that although Tesla has yet to do any marketing for the Model X, demand for it is "very high." "It's like if you were going fishing and the fish were jumping into the boat," he said. Musk added that Model X demand may exceed demand for the existing Model S.
"This is very speculative, so don't hold me to it, but that's my best guess," he said. Tesla also reported Wednesday that it was no longer depending on the sale of regulatory credits it received for selling zero-emission vehicles for any of its revenue or profit. Some analysts had suggested the company was dependent on those credits rather than profits from actual car sales and questioned what would happen when they disappeared. This was Tesla's most profitable quarter and the first time it was in the black without the help of the zero emission credits.